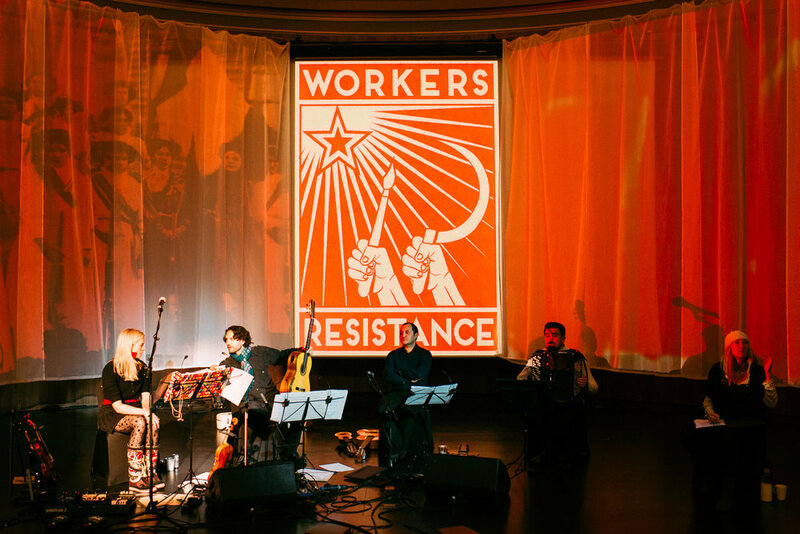 A Ballad For The Brave is an immersive concert, performed by internationally renowned violinist and vocalist Lizzie Ball, Polish accordionist Bartosz Glowacki, Chilean guitarist Jorge Bravo, and featuring special guest, Mexican guitarist Morgan Szymanski. 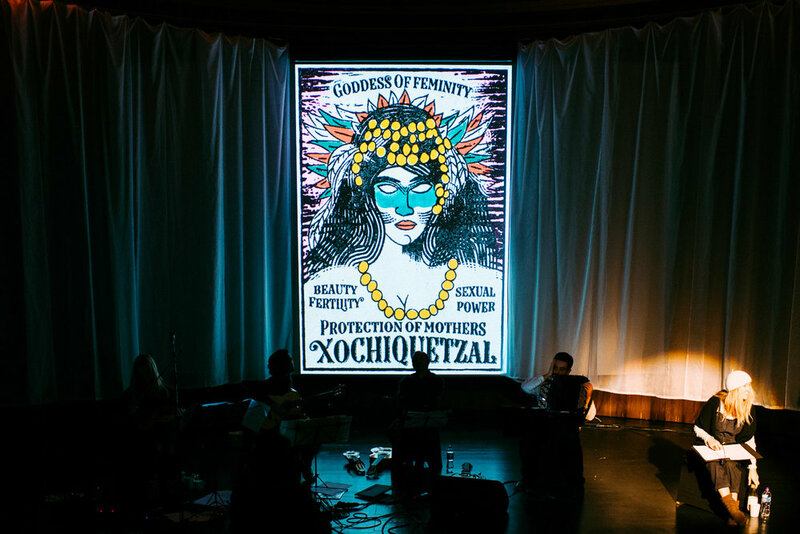 The evening pays musical homage to artistic self-expression, amplifying female voices and honouring established heroines, including the life and works of Frida Kahlo. 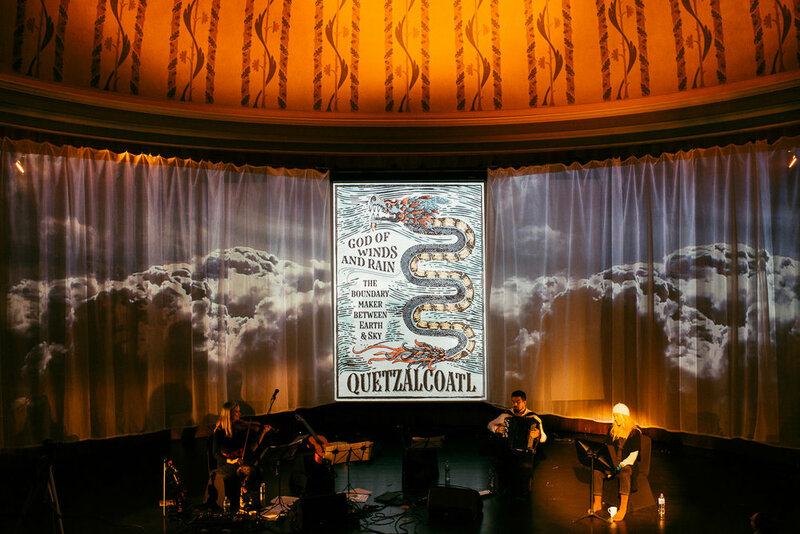 Drawing inspiration from the cultural landscape of her time, the concert carries an audience on an impressionistic audio-visual journey through exquisite music, original art and animation, and bold video design. The show premiered on November 2nd 2018 at the V&A in London. I shall post more info about future dates on the blog. Working with this team of talented people has been a real joy for me. I have created original artwork on paper, painted for hours long and dive into discovering the life of Frida, a true moral force. 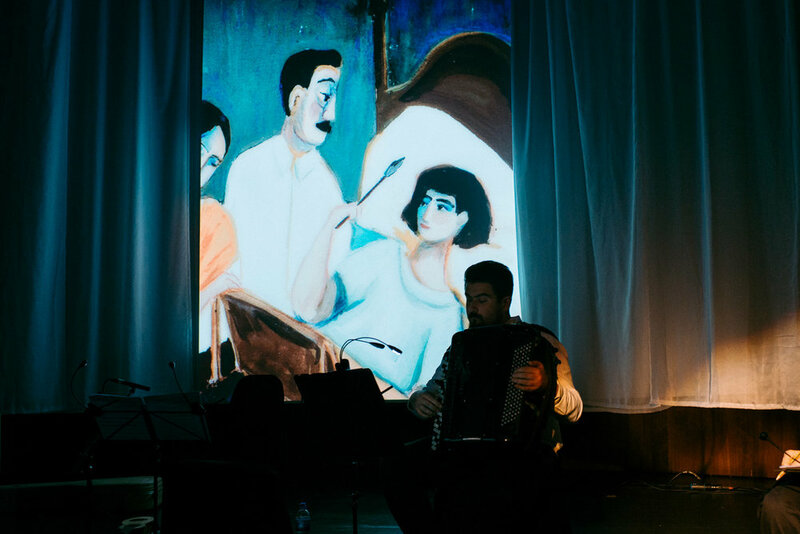 Music includes adapted works by Aaron Copland, George Gershwin, Alessandro Marcello, Julio César Oliva, Juan Gutiérrez de Padilla, Manuel Ponce, Maurice Ravel, Igor Stravinsky, Django Reinhardt, Germaine Tailleferre, and will feature the UK premiere of Frida Kahlo’s own ‘Corrido de Carlos Chávez y Diego’ by kind permission of Marcela Rodrìguez, from her opera ‘Las Cartas de Frida’.